Dubai has kept the pace on its development activities going strong ever since it won the bid to host Expo 2020. Its new projects due for completion in the next few years such as the Dubai Creek Harbour, Dubai Water Canal, MBR City District One, Aladdin City and Dubai Metro Redline Extension are enough to speak volumes of its successful future. 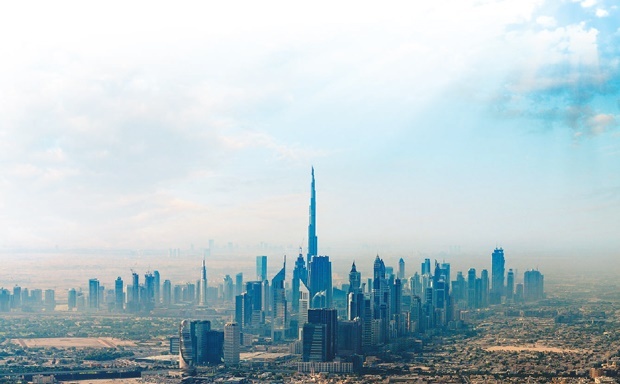 While development goes on at a good pace in the emirate, we have gathered five factors we think will keep Dubai’s realty sector afloat in the future. Featuring a modern land registry mechanism and a strong real estate regulatory authority, Dubai boasts of world-class laws. Investment security is not a concern for investors here and much of the official process is actually done through smart phone applications. Rental yields of apartments in Dubai climb as high 8 percent in select apartment categories and the prices have already hit the rock bottom, leaving ‘up’ as the only way ahead. Prudent investors are buying apartments and placing them on rent to benefit from the high rental yields and as the market gets back on its feet, prices are expected to rise once again. Dubai’s strategic position on the world allows all kinds of business activities to be carried out with ease. The emirate is located in close proximity with Russia, China, and India, the industrial hubs of the world. It has free trading zones and its tax-free environment is perfect for trading companies and start-ups of all kinds. Expo 2020 is considered one of the most powerful investment magnets in the Middle East. Dubai is targeting 25 million tourists for the event which calls for the development of more hotels and residential units. The government has also allowed people to let their furnished apartments on short-term lease to tourists aiming at longer stays in the emirate – after securing a proper licence of course – to keep up with the imminent demand. Apart from that, the expo itself is expected to create 200,000 jobs in the emirate and that means 200,000 expat families travelling to Dubai to rent or buy your apartment. Even master developers such as Nakheel and Emaar are diving into the hospitality sector. Recently Nakheel announced its plans of launching 10 new hotels across the emirate to gain as much from the tourism boom around Expo 2020. With all these enthusiastic developments in place there remains almost zero concern that anything would stand in Dubai’s journey towards prosperity.